Each year on the 4th of July, Americans across the country and the globe celebrate the anniversary of the United States’ Independence. While this summer occasion is usually associated with fireworks and outdoor picnics, recent news has established that an additional, more contentious, event will be taking place on the 4th of July. This date marks the day when Grammy-award winning singer Alicia Keys’ will perform at the Nokia Arena in Tel Aviv, Israel. Even though Keys’ concert will take place an ocean away, her decision has reverberated deeply amongst fans and fellow artists within the United States. Based on the current Palestinian Israeli conflict, as well as the vast human rights violations that accompany this political state of affairs, Keys has been critiqued strongly for her decision to go through with the performance. 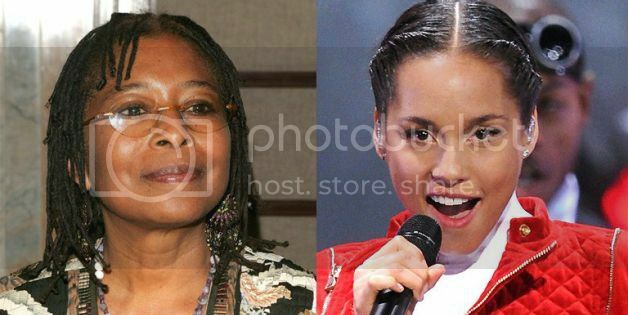 Although various organizations and public figures have reached out to Keys in attempts to have her cancel the concert, the most notable and compelling reaction to this upcoming concert stems from the pen of the Pulitzer Prize winning novelist and dedicated activist Alice Walker. Written on the 29th of May, Walker composed an open letter to Alicia Keys that touches deeply on the conceptual and concrete implications of this upcoming concert. Drawing strongly upon elements of history within the United States, Walker’s letter draws deep parallels between US civil rights movements and the “various boycotts of Israeli institutions” that are taking place today. Encouraging a deeper understand of the strengths of a cultural boycott in this situation of extreme political controversy, this letter ultimately invites Keys to join the group of artists working to combat the “unconscionable harm Israel inflicts every day”. While a difficult task, setting apart the content of this letter, Walker’s entreaty brings up a salient issue of the artist’s significance within the larger framework of the world’s social and political complexities. Through the years, black female artists such as Erykah Badu, Lauryn Hill and most recently—Beyoncé Knowles, have engaged with significant social and political issues through their work. This is not to say that in order to be a memorable musician one must always make some sort of statement, but rather that these women are able to communicate something deeper through their music, with the staccato rhythms and smooth hums of their songs beautifully reflecting their views on society. Now acknowledging this element of intersectionality between the socio-political and artistic realms, and applying it to the case of Alicia Keys, one would say that she definitely fulfills all the expectations one would have of a conscious black female artist. With the thoughtful lyrics woven through her various ballads as well as her deep involvement in philanthropy, it therefore seems quite strange as to why Keys would agree to a performance that so clearly would legitimize an institution that propagates the violent marginalization of a specific group just for “exist[ing] in their own land”. This is sentiment is no better demonstrated than in Walker’s open letter, which displays a tone of disappointment that Alicia Keys is putting her musical career ahead of being first and foremost, “someone of conscience and caring”. As a result, Walker’s letter gives insight into the spotlight of scrutiny that follows an artist the moment she reaches a certain level of acclaim, in receiving not only the attentions of fans but peers as well. Within this very notion lies a possible explanation for Keys’ confirmation of her Tel Aviv performance. As an individual that reached her current status solely as a result of her musical accomplishments, one must not forget that while Alicia Keys possesses a certain responsibility as a philanthropist and conscious individual, there is the integral obligation she has to the fans whose support brought her such success, no matter their cultural background or political beliefs. Within this framework, Key’s sole statement citing the power of music to “unify audiences in peace and love” then becomes somewhat clearer. Nonetheless, is this enough? In today’s day and age, where so many lament over the ever-diminishing focus on the actual craft in the world of performing arts, what can we legitimately claim as being within the realm of a musician’s responsibilities? Is it possible to truly separate the realms of politics and the arts? And more importantly, do we want even them to be separate? A rising junior at Columbia University, Oluremi Onabanjo is working towards a degree in African Studies and Political Science. Having spent most of her childhood divided between the African continent and the United States, Oluremi is fascinated by the linkages in the black African and African-American experience, especially as revealed through the interaction between political structures and cultural movements.